Ramon is a strong and committed servant of God. She grew up in Florida and was an ambitious person, initially planning to be a flight attendant. Instead, she decided to go to Washington, D.C. with a friend to apply for work at the FBI. She was hired and started in the fingerprint department and was later transferred to intelligence. Ramon met her future husband Bob, who also worked for the FBI. Over the years, they were stationed in a variety of locations, eventually settling in Texas, initially in El Paso and then in Midland. In El Paso, Ramon was an active volunteer in a nursing home ministry. After moving to Midland, Ramon worked as an executive assistant and became active in First Presbyterian Church. She went on her first mission trip to Uganda in 2004 and saw children taking their drinking water from a small pond contaminated with animal waste. This terrible sight affected her greatly, and she struggled to find a way to address the problem. Ramon made an extensive study of water well construction and started raising money to drill wells in communities that did not have a safe water source. She has committed her own money to the project and worked tirelessly to ensure its success. 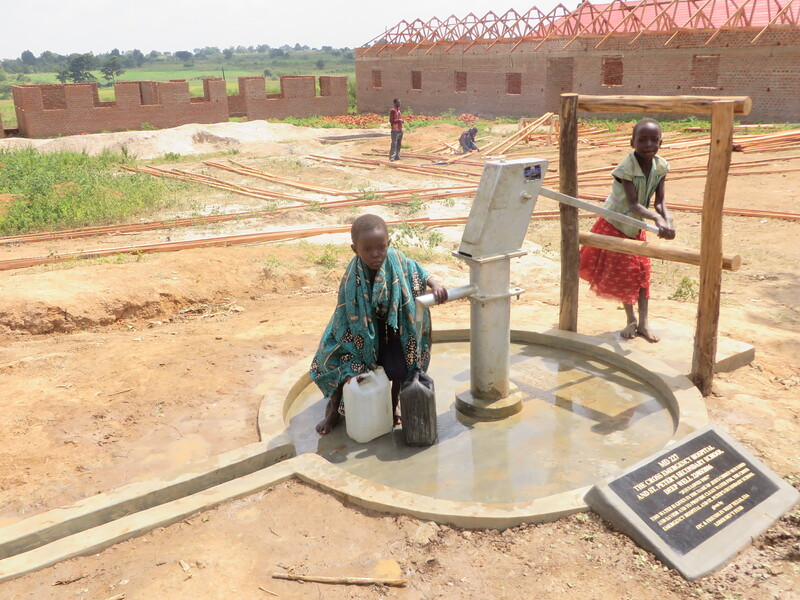 About 430 wells have been constructed in Uganda as a result of her efforts. 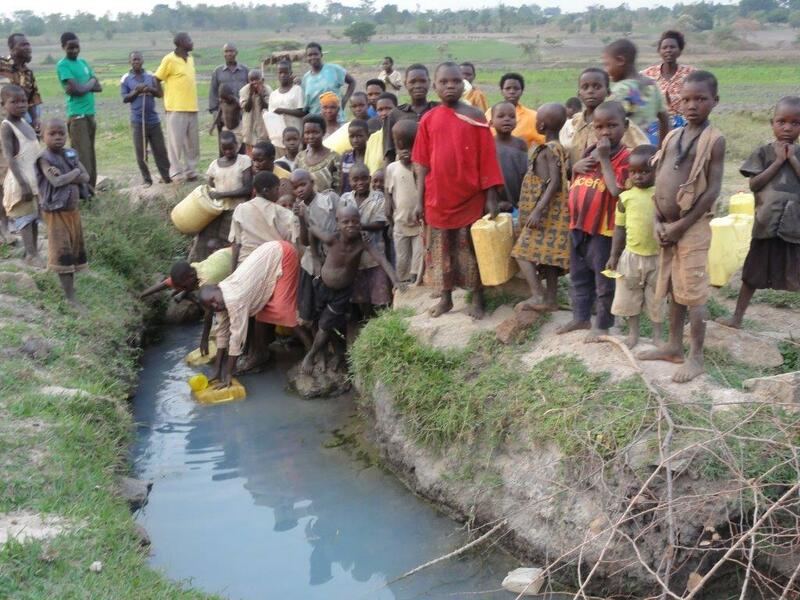 These wells currently serve more than 800,000 people. Her enthusiasm and faith are most inspiring. Her husband Bob has also become committed to the project and works alongside her. 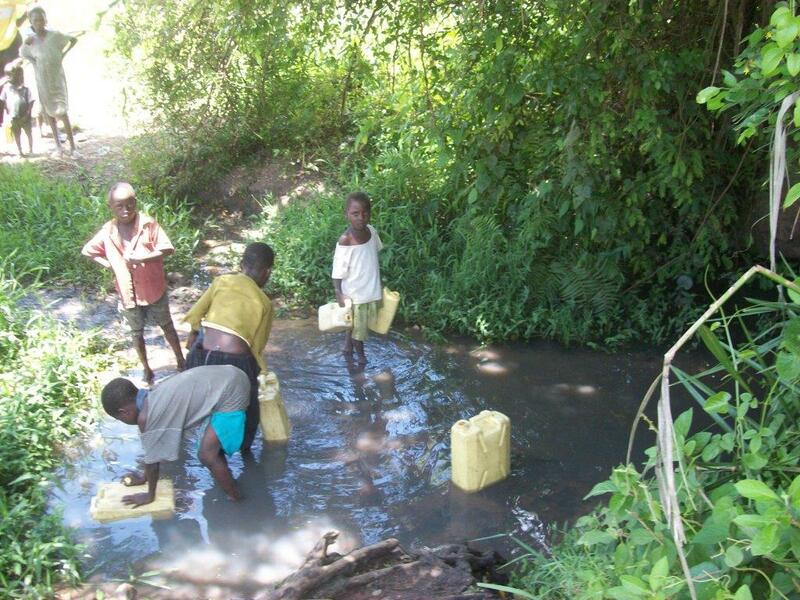 Ramon and Bob made regular trips to Uganda to determine areas in particular need of safe drinking water. They then worked to raise the money to construct the wells. There are two types of wells. 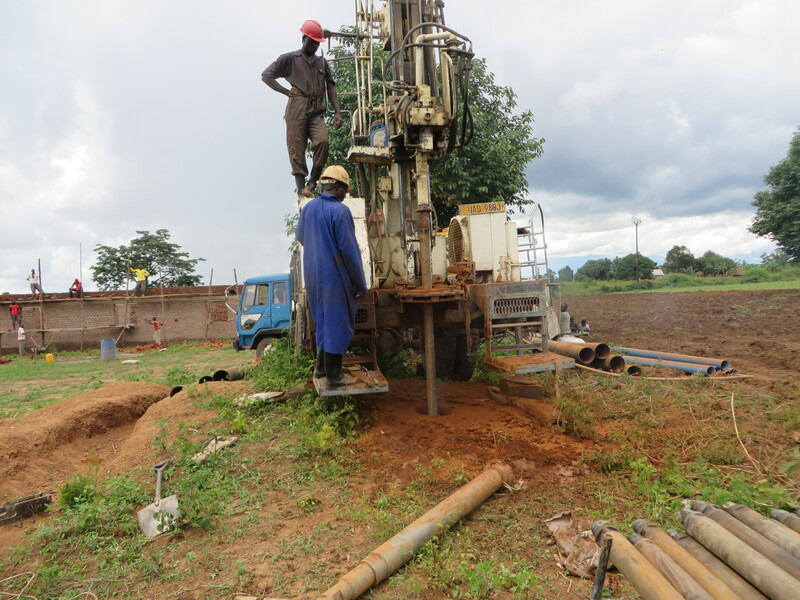 The first is the borehole, which involves drilling down up to 300 feet if necessary and setting up a pump. The second type is the spring box or artesian, which taps into a spring source and channels water through rock and sand into pipes that empty into a protected basin. The water pouring from the pipes can be collected into containers. The water from both types of wells is free of contaminants and safe to drink. Well MD 227 is a completed borehole serving the Cross Emergency Hospital and St. Peter’s Secondary School. 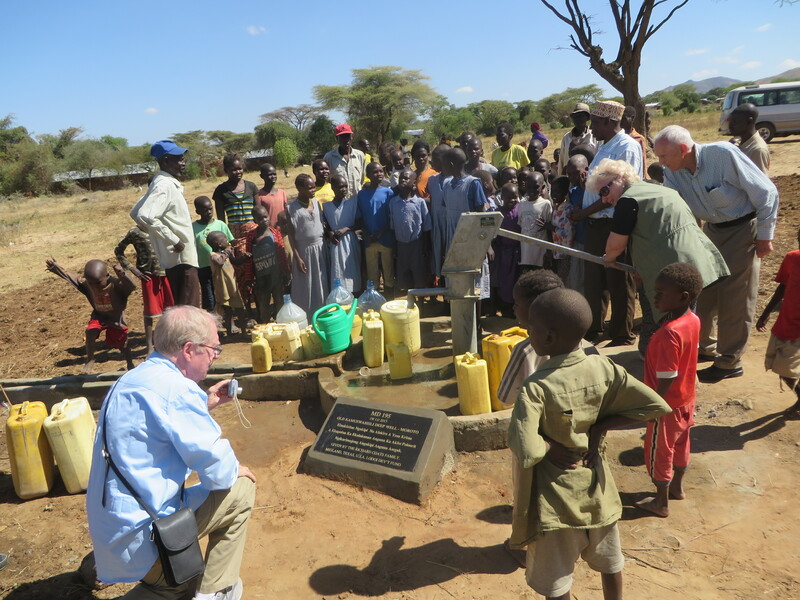 Ramon pumps water from the New Kamuswahili Borehole Well as her husband Bob (foreground), Dr. Bartha and thankful residents watch. 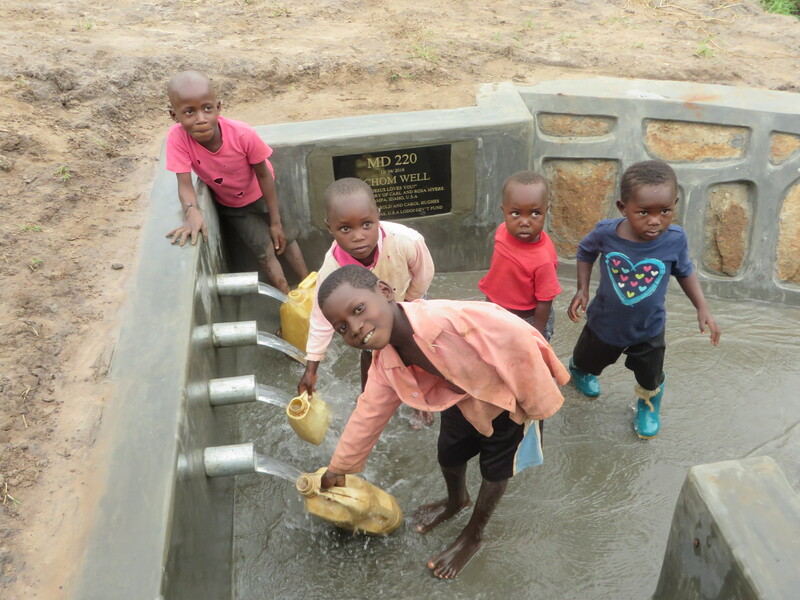 This well is estimated to serve 10,000 people in the Karamoja region of Uganda. Some walk three to four miles (5 to 7 km) to obtain water from this well. Children fill their containers with clean water from the Ochom Well, a spring box type in the Ugandan village of Kalupo in Bukedea District. In addition to serving a community of about 3000 people, Ochom Well also provides water to a nearby primary school with an enrollment of 1000 pupils and a staff of 20 teachers. Clean water has reduced the problem of infant and childhood diarrhea and has saved the lives of many children. 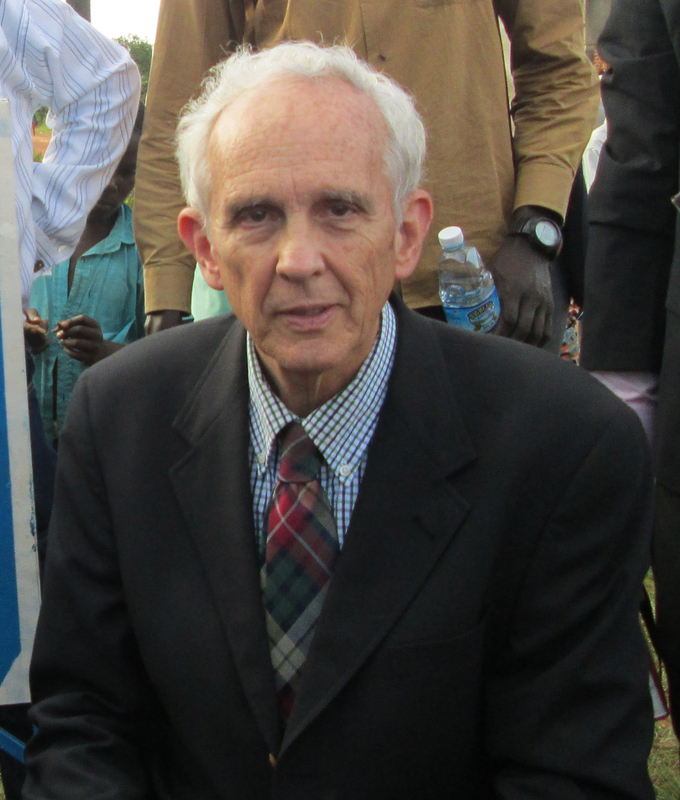 Over the years, intestinal infections have been one of the main causes of mortality in infants and children in Uganda. Ramon and Bob keep meticulous records and are very careful to make sure that all donated money goes directly to water well development. Ramon asked me why God chose her for this work at this time in her life. I told her that God showed her the problem and asked, “Whom shall I send?” Ramon herself answered the call. She said God has been faithful to her and the work, always helping to find funds when resources seem to be completely exhausted. I hope Ramon and Bob will continue their work in this ministry for many years to come.